Cigna has corporate roots stretching back to 1792, making it one of the oldest corporations in the world. The modern day Cigna was re-forged as a joint venture by INA and CG Corporation, in 1982. Since then Cigna has risen to prominence and is now one of the best known health insurers in the modern world. Since its modern conception Cigna has focused primarily on providing the best possible services and products to its clients, whether they are at home or abroad. This focus has lead Cigna win a number of internationally accredited insurance awards which include, "Best Health Plan Initiative for Consumer Directed Health Care", "Best Technology Introduced by a Health Plan Organization for Employee/Customer Choice", and has appeared in Latina style and working Mothers list for the last ten years. Proving that not only does Cigna offer high quality services and products, but also is recognized for these achievements by customers and competitors alike. Cigna products are guaranteed comprehensive and flexible and accurately reflect the needs of the modern day. Cigna prides itself on the open lines of communications and dedication it has to its customers, putting you as a customer before anything else. It is this commitment to customers that has allowed Cigna to achieve a global presence in the insurance industry that few other companies can boast of. With a Cigna plan you and your loved ones are assured comprehensive plans put together by insurance experts with a wealth of knowledge and experience. 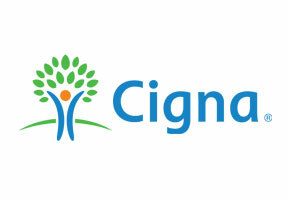 For more information on Cigna or for a free insurance quote, please feel free to contact us today.